Welcome to the OTB Free Aqueduct Picks page where you can find free horse racing handicapping picks for Aqueduct race track in Queens, New York every Saturday! Bookmark this page and check back each week for full card selections and horse betting analysis. 1 #1 Fangirl (4/1)- Very good recent workout, and exiting key race. 2 #2 Shanghai Bonnie (8/5)- Best recent Beyer figure, and jockey J. Alvarado enters hot. #3 Incubator (9/5)- Steadily improving, and loves running at Aqueduct. 3 #3 Clairvoyant Lady (8/5)- Brought back quickly, and trainer J. Englehart enters hot of late. 4 #4 Aikenetta (4/1)- Hopes to return to form, impressive three starts back. 1 #1 Redouble (5/2)- First start under trainer R. Rodriguez, talented horse. 7 #7 Rockin Emmzy (6/1)- The switch from sprint to route could help a lot. 6 #6 Figure It Out (5/1)- Good trainer/jockey combo, tough to throw out. 2 #2 Skyler's Scramjet (8/5)- Loves running at Aqueduct, the horse to beat. 3 #3 Colonel Sharp (4/1)- Excels at this distance, will be competitive. 8 #8 Twofer (7/2)- Both jockey J. Alvarado and trainer G. Contessa enter with recent success. 6 #6 Princess Mikayah (9/2)- Has been consistent, and best recent Beyer figure in the field. 5 #5 Four Freedoms (9/2)- Best at this race length, a bit under the radar here. 4 #4 Felix in Fabula (10/1)- Also excels at this distance, nice value. 1A #1A Cause I'm Alex (4/1)- Trainer J. Englehart has had success in similar races. 2 #2 Local Counsel (7/2)- Solid recent workout, should hit the board. 7 #7 Here Comes Tommy (20/1)- Also working out well of late, could surprise. 6 #6 Planet Trailblazer (2/1)- Coming off a win, could go wire to wire. 5 #5 Proud Zip (7/2)- Excels at this distance, should be in the mix. 10 #10 H Man (6/1)- Also best at this race length, worth including. Bookmark this page and check back each week for Full Card Selections, Odds and Horse Betting Analysis for all Saturday horse races this season from some of the best US racetracks: Aqueduct Free Picks, Gulfstream Park Free Picks, Del Mar Free Picks, Santa Anita Free Picks, Belmont Park Free Picks and Saratoga Free Picks. In addition to those racetracks, our growing team of horse handicapping experts offers free horse betting picks for the Triple Crown: Kentucky Derby, Preakness Stakes, Belmont Stakes, plus the Breeders' Cup. 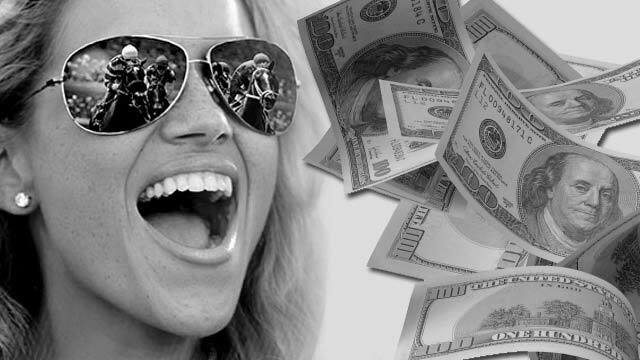 Free Horse Racing Picks are provided as a courtesy to augment your handicapping process. We do not provide any warranty or guarantee either implied or expressed.